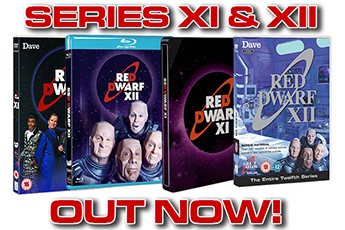 We thought Series VIII hitting its twentieth birthday was bad enough, but this one really does make us feel, age-wise, practically up there with Abe Lincoln and Moses. For it was ten years ago this week that Back to Earth premiered on Dave, with the three episodes airing on successive nights over the Easter weekend of 10th, 11th and 12th April 2009. If you weren't following at the time, it's hard to overstate just how momentous - not to mention unlikely - the return of Red Dwarf was. The decade following Series VIII had been spent attempting to make a movie production work, and then saw doors seemingly closed for a television return. But Red Dwarf wasn't absent from our screens during that time - it was becoming a pillar of the lineup on what was first known as UKTV G2, then Dave. The channel was getting great figures from repeats of the show, earning a whole generation of new fans in the process - and in the twentieth anniversary year in 2008, thoughts began to turn to some kind of special celebration, produced for the show's new home. Initially, some kind of clip show was considered. Then it was mooted that perhaps some new linking material could be shot to bookend the clips and give fans something new. And then, as time went on, the question became: why not just make some new episodes? By their nature, the new shows had to be different. 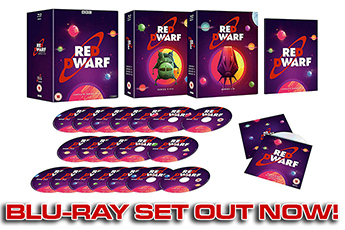 The budget wasn't there for a full-on Red Dwarf production, and so a setting and premise were conjured up by Doug Naylor that allowed for the majority of the show to be filmed on location and set on contemporary Earth. But even then, getting the thing made required pulling in all kinds of favours from industry professionals who also happened to be fans. 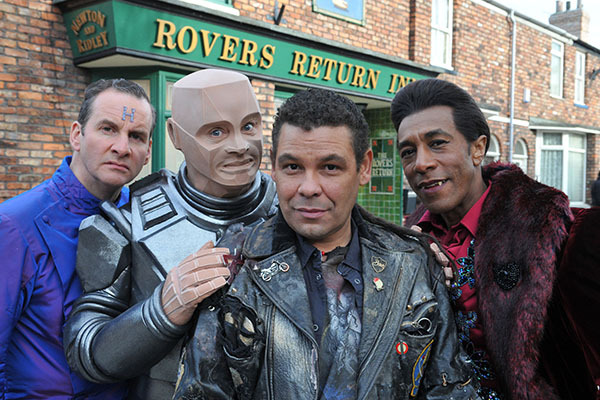 If it was a miracle that Back to Earth got made at all, then it was an even bigger one that it turned out to be such a fine celebration of Red Dwarf. The metatextual plotline allowed references to fandom to be worked in directly, while the trademark gags and heart remained firmly in place. 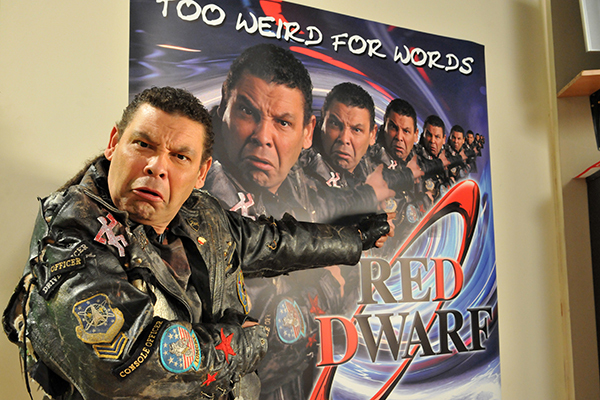 And if the lack of a live audience to bounce off, or the minimal time spent onboard ship (despite a gorgeous and distinctive new bunkroom set whose DNA has carried in some way through three subsequent series), meant things felt slightly different from the norm, the core of Red Dwarf was still very much in place. At the time, it seemed like it might just be a one-off. But as we now know, it turned out to be so much more. 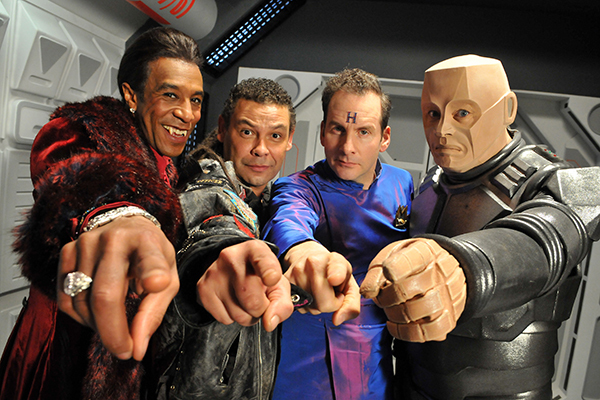 It was, essentially, the pilot for a new era of Red Dwarf. And it passed the audition admirably, gaining record viewing figures for an original non-sport digital commission (a record - of 2.6 million for the first episode, and close to 11 million across the week for transmission and repeats of all three episodes - that still stands, incidentally). There was, it turned out, still a pretty big appetite for this show and these characters, despite the decade away. And that meant, naturally, that Dave would want to make more: not only more Red Dwarf, but more in the way of other original shows, too. Everything that's happened in the last decade - not just the three glorious full series of Red Dwarf that we've enjoyed, but other Dave originals such as Taskmaster, Go 8-Bit and Modern Life is Goodish - can be traced back to the decision to take the plunge into producing Back to Earth. 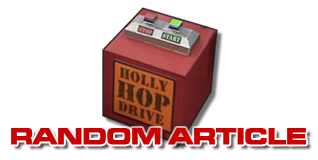 It's perhaps the most unusual and distinctive piece of Red Dwarf history that there is, but when it comes to impact, it's also one of the most significant. And ten years on, it's just as enjoyable a celebration of the show as it was at Easter 2009.